firmer shift. It does not override the “torque management” used to protect the trans during the shift. This will certainly improve 0-60 and qtr mile times. Thank you for your interest in our Cadillac related products. We are currently working on performance products to offer for the Cadillac DTSi and the STSi. These product will resemble the Tim Allen Designs DTSi that many enthusiast’s saw. We are hoping to have complete kits available in the next 4 – 6 months. products to the public until they have passed or stringent engineering and quality requirements. We can build any Model & Year transmission High Performance and/or Heavy Duty. We also cover Allante 89-93, Deville 87-95, Eldorado 87-95, Fleetwood 87-94, Seville 87-95 with our Pro-Tech Chip. 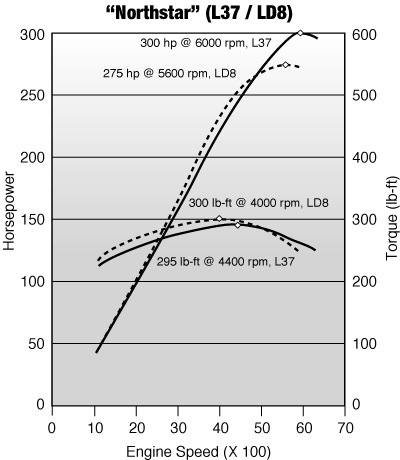 On the Cadillacs we rage from 17-35hp gains & 30-45ft/lbs of torque gains. If you would like to get more information you would have to send or call with a specific year, model, & engine size so we can give you an exact figure. You can reach us toll free @ 1-866-PRO-TEC1. Cadillac Hotrod Fabricators — Mar 6 2001 Update: CHR specializes in use of the NS in Street Rods, not in the Cadillacs they came in. “We use only aftermarket computers that can be programmed via a laptop computer. The heads alone are worth 100 hp. The head and cam package is up to 425-430 hp. We have a 5.0L engine planned that will put out 650 hp with no boost. It is very expensive about 17K. The crank is being made now. Stay tuned.” Alan — in San Clemente, California (south of LA) Voice: (949)498-7000. They are also in the process of moving to a larger factory. With outstanding performance and superior quality, the Hydra-Matic 4T80-E continues to live up to the expectations of those who drive high-tech, luxury performance vehicles. Its electronic controls, viscous torque converter clutch and ability to handle higher combinations of torque and speed than any other front-wheel drive passenger car transmission in the world, make it the ideal luxury vehicle transmission. Assembled in Ypsilanti, Mich., at the Willow Run assembly site, the 4T80-E is available on the Cadillac Seville, Eldorado and DeVille, as well as the Oldsmobile Aurora. Its adaptive shift quality is designed to provide the same high level of performance for many years. high demands for many years. For all ’98-’99 STS owners, I have found an easy “free” mod you can do to really help your Northstar breath better. It takes about 30 minutes with common hand tools. If you installed a K&N filter, this mod will help even more. into the runners. But it’s up to you if you want to do that. punch the gas – but not overly loud or annoying. Good luck. I just recently changed my plugs and wires in my 98 SLS and I upgraded to 8mm MSD instead of stock 7 mm, Might of been just the plugs but It chopped a sec. off my 0-60. I was just looking under the hood of my SLS one day. And There was a big oval shaped plastic cylinder connected to my rubber intake guide so I took it off and put a bottom of a cup in there to close the hole. I found that it was drastically reducing the airflow to my engine. I ran my car with it first and got a 6.6 0-60 after I ran a 6.45. So it shaved some time off and it also gives it some added gurr on the the way up and on the way down it gives almost a pocket rocket sound. The Caddy wasn’t quite stock. Thanks to Scott Badenoch and his merry men at Delphi Automotive, the suspension electronics had been reprogrammed to provide a little more roll stiffness and a considerably higher threshold for the onset of the StabiliTrak spin-control system. We also used 18-inch P255/45ZR Michelin Pilots (versus 16-inch P235/60ZR Goodyears, the STS’s optional tire) mounted on a handsome set of BBS wheels, plus harder brake pads and a Borla exhaust system. The first two tweaks yielded more grip and shorter stopping distances in a quickie predeparture test — 0.84g versus 0.82g on the skidpad, and 169 feet from 70 mph versus 188 feet in our December 1997 test of an STS wearing H-rated Goodyears. The Borla pipes didn’t do much other than lend a wonderfully menacing rumble to the exhaust note. The STSi boasts 320 horsepower – 20 more than the already impressive 300-hp rating carried by the standard STS. The extra performance is achieved through a combination of reduced inlet restriction, lower exhaust back-pressure and blue printing of the ports. At the heart of the air-induction system is a tri-lobe supercharger with a displacement of 112 cubic inches (1.8 liters) per revolution. The supercharger rotors turn approximately twice engine speed, which results in more airflow into the engine than it would naturally breathe. The extra airflow causes pressure to build up in the intake manifold creating supercharging of the engine. This is also called forced induction because the air is forced into the engine instead of being merely drawn in by the action of the pistons and valves. 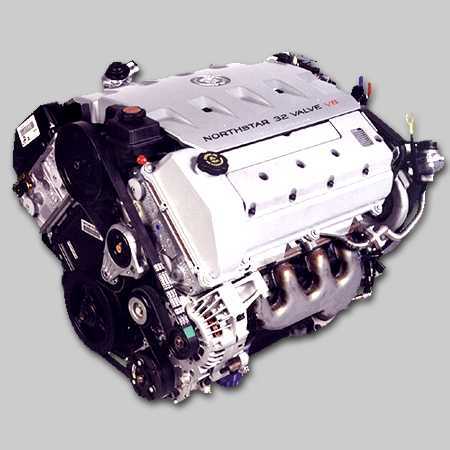 While supercharging has been around since the start of this century, the integration of the supercharger into the Northstar V8 is an all-new GM design which is patent pending. The four-camshaft, continuously variable valve timing enables the intake and exhaust valves to open and close at the optimal time depending on engine operating conditions, delivering a broad torque band and improved idle quality. Because of this optimized control of valve timing and the new low-friction valvetrain, exhaust emissions and fuel economy also are improved. The engine also received several upgrades to handle the increased power output, including a steel crankshaft, an iron inserted lower crank case, heavy-duty connecting rods and pistons, plus upgraded valves and head gaskets. Hey Bruce, What about my Catera? Interesting post, I have always been in the BMW world but glad to see people working on Cadillacs now. Do you know if KW offers coilover kits for these cars? How about Brembo brakes? These are common BMW upgrades so it would be interesting to see these on a Caddy. The V-Series Cadillac come with Brembo brakes from the factory. There are coil-over after market parts for the 1st gen CTS-V. The current, 2nd Generation CTS-V has the MR suspension, so I don’t think many users will abandon that for coil overs. DO NOT REMOVE THE METAL SCREEN IN THE THROTTLE BODY. the purpose of the screen in the throttle body is to have the air charge flow straight past the MAF sensor by removing the screen you cause the air to swirl in the intake and the MAF sensor will one misread the air charge which will cause the A/F ratio to be off resulting in less power. You will also loose power by the fact when air swirls in a intake tube it doesnt take advantage of total volume of the intake tube. I’ve got a 2006 Buick Lucerne with the Northstar engine. The fuel injection cuts out at 122 mph. Is there some way to re-flash the computer and remove the limit? I’m going to run the Mojave Mile with the car. What is sometimes tried with Cadillacs is you find the VIN of a Cadillac model that came with a 150 mph speed limiter — often cars delivered with ZR or better tires from the factory get a 150 or 155 mph limiter — and use a GM Tech II (dealer equipment) to recalibrate the PCM. So, first you would need a Lucerne or DTS that WAS calibrated for 150 mph limiter, and a VIN, and a friendly dealer tech with an available Tech II. It is possible that the DTS Performance models get the higher speed limiter but I am not sure if they are limited to 130 or 150. Good luck, and let me know if you figure out a better solution. Phalanax, Thanks for the comments. I am not aware of any mods that suggest you allow unfiltered air into the engine. I agree that every mod needs to be tested on the car to determine if it is actually advantageous. That’s what I try to do is test, install, test.